Q: Waste Ink Tube & Bottle? 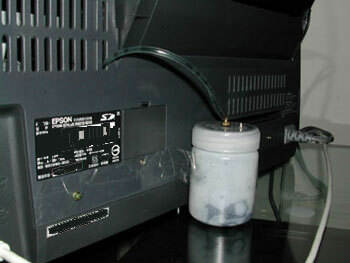 Epson printer generates waste ink which is directed into absorbent pads in the base of the printer. Eventually waste ink pads will fill up and need to be replaced. Alternatively, you can install a tube and bottle behind the printer and direct all waste ink into an external waste ink bottle. The following pictures can give you some more idea. Procedures may vary upon different models.